International in perspective, the essays in this volume are primarily concerned with two facets of the mixed economy of welfare--charity and mutual aid. Emphasizing the close relationship between these two elements and the often blurred boundaries between each of them and commercial provision, contributors raise crucial questions about the relationship between rights and responsibilities within the mixed economy of welfare and the ties which bind both the donors and recipients of charity and the members of voluntary organisations. 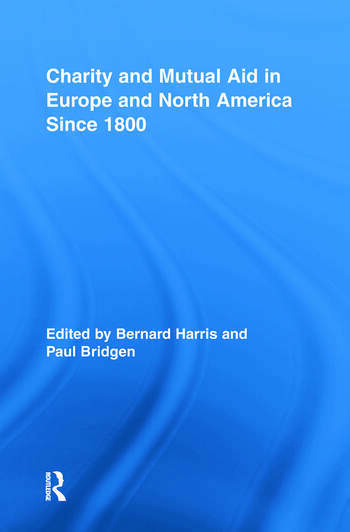 The volume critically assesses the relationships between the statutory and voluntary sectors in a variety of national settings, including Britain, the United States, the Netherlands, Sweden, Norway, Canada, and Germany during the last two hundred and fifty years, making the book as topical as it is significant. Bernard Harris is Professor of the History of Social Policy at the University of Southampton (UK). He has published a wide range of articles on different aspects of the social history of health and welfare and is the author of The origins of the British welfare state: social welfare in England and Wales 1800-1945 (Basingstoke: Palgrave, 2004). Paul Bridgen is Senior Lecturer in Social Policy at the University of Southampton. He has published a range of articles on different aspects of twentieth-century British public policy and is the coeditor (with Traute Meyer and Barbara RiedemÃ¼ller) of Private pensions versus social inclusion? Non-state provision for citizens at risk in Europe (Cheltenham, Edward Elgar, 2007).